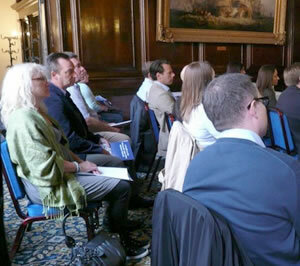 The annual North Sea Operators’ Claims Conference draws together ship owners, P&I clubs, marine surveyors, shipping lawyers and other experts, all with an interest in marine insurance claims matters. At this friendly, welcoming event, competition is set aside with the aim of sharing ideas and experience and learning from each other in order to improve our ability to manage claims more effectively. 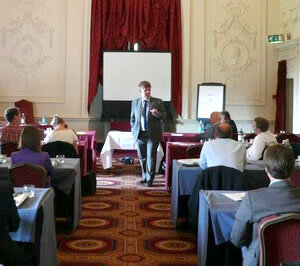 The two-day conference is packed with informative presentations and discussions. There are also ample opportunities to talk to fellow members more informally, to get to know people with similar interests and to explore the culture of the host country. 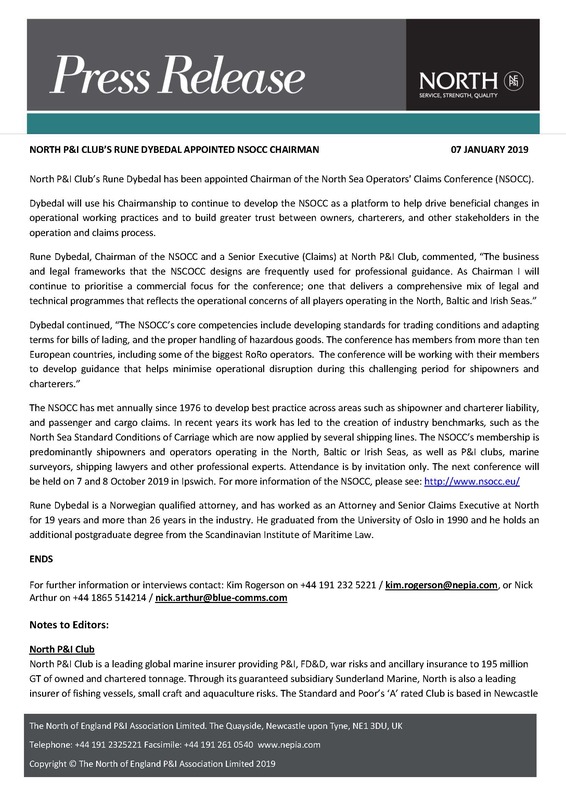 The primary aim of the NSOCC is to provide an annual forum for North Sea, Baltic and Irish Sea operators to discuss matters of common interest. Navigation Handling practice for hazardous goods (Blue Card and the Yellow Card). 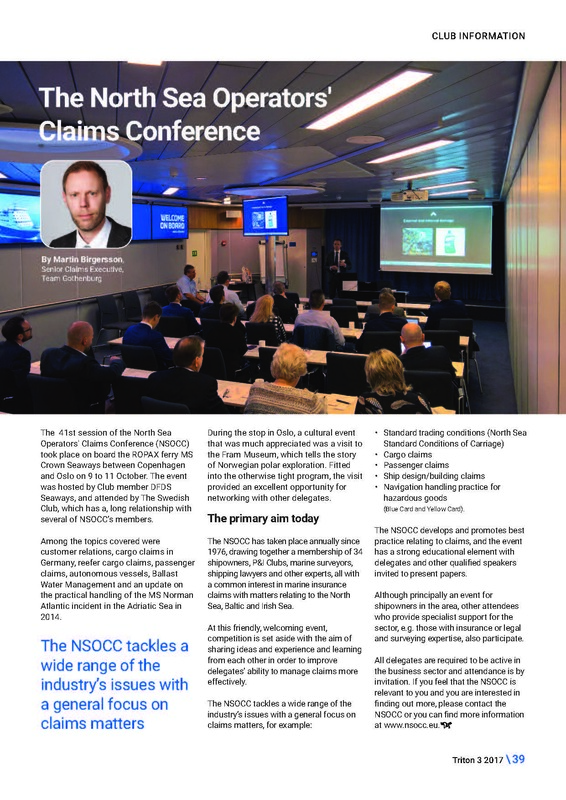 The NSOCC develops and promotes best practice relating to claims and the event has a strong educational element through the presentation of papers by delegates and other qualified speakers. This is principally an event for ship owners operating a service on the North Sea, the Baltic or Irish Sea. Other attendees provide specialist support for our sector, including insurance, legal and surveying expertise. All delegates are required to be active in our business sector and attendance is by invitation. Please use the form on our ‘Contact us’ page if you feel that the NSOCC is relevant to you and you are interested in finding out more. Each year the NSOCC host and committee members volunteer their time to organise the event. This is a 'not for profit' conference and we try to limit attendance costs. The cost usually covers administration, accommodation (if required), food, the conference itself and a local tour. In addition to the valued commitment of our conference host, the NSOCC is also supported by kind member organisations which sponsor elements of the programme. The NSOCC committee would like to thank them all for their generosity. If your organisation would be willing to sponsor an aspect of a forthcoming conference please use the Contact Us page to let us know and we will be in touch to discuss the form your sponsorship might take. The North Sea Operators' Claims Conference has its origins in a meeting of a number of Scandinavian shipping lines and some of their insurers in Kungalv, Sweden, on 30 March 1976. 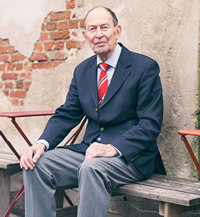 The architect of the conference, and founder member, was Max Slotte, a lawyer working, in those days, for Tor Line. 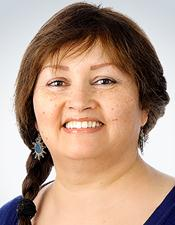 The conference was his brainchild and the other founder members were enrolled having been approached by Max Slotte. This first meeting was called to try to establish rules for the settlement of claims in respect of 'Articles of Transport' and to attempt to introduce uniformity in documentation between all operators on the North Sea, thus aiding and simplifying both insurance contracts and claims handling. The lines represented at this first meeting were: The Brostrom Group, Tor Line AB, Svea Line (Goteborg) AB, Roto Line/Wallhamn AB, Fred Olsen & Co and the Swedish Club. From this first meeting in March 1976, a gathering also took place in October that year when additional participants were DFDS A/S, Ellerman Lines Ltd, AB Indemnitas, North Sea Ferries, Assuranceforeningen Gard, Assuranceforeningen Skuld & Wallhamn AB. A second conference followed in September 1977 and the NSOCC has taken place annually since, with the number of members growing gradually to around 37 today. For a more in depth history and to view a list of conferences, locations, hosts and highlights view our conference timeline.